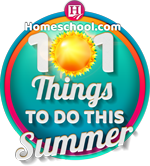 Show your family some love by giving them a day off from the usual homeschooling! 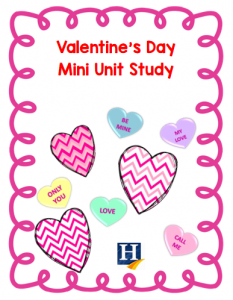 Instead, consider doing a Valentine’s Day mini unit study. In the Catholic church, there were at least three different individuals by the name of Valentine who were recognized as “saints.” According to one legend, Valentine was a priest who served during the third century in Rome. Though the ruler, Claudius, outlawed marriages — on the notion that single men were better warriors — St. Valentine continued performing marriages. Because of this, Claudius ordered him killed. Other legends say he was killed for helping people break away from the Roman Catholic Church. Another legend suggests that he was imprisoned and fell in love with the jailor’s daughter, whom he sent a love letter signed “From your Valentine.” Regardless, all legends indicate that St. Valentine was a martyr and died for what he believed in. At the end of the 5th century, February 14th was declared “Valentine’s Day.” Eventually, the holiday came to be associated with love. Much later (during the Middle Ages), it was thought that mid-February was the beginning of bird-mating season, adding to the idea of “love” for Valentine’s Day. Written valentines didn’t emerge until around 1400, and the first valentine still in existence is a poem written in 1415 by Charles, Duke of Orleans to his wife, which he wrote while he was imprisoned. Directions: Write your answers to the following questions on the lines provided. 1) According to various legends, who was St. Valentine? 2) Based on the text, what can you infer the word “martyr” might mean? 3) Why do you think mid-February was chosen as the time to celebrate Valentine’s Day? 4) What is the effect of the various Valentine’s legends on what we have come to think of as “Valentine’s Day” today? 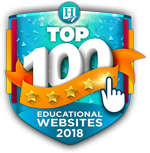 In what ways have legends helped shape these ideas? 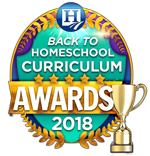 1) Use the spelling words from the printable handwriting page (click the image at the bottom) and let your child enjoy some of the activities VocabularySpellingCity has! The worksheet uses the same words. 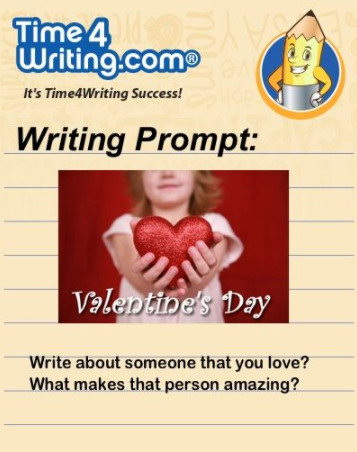 3) Get your students writing with this FREE Valentine’s Day writing prompt! 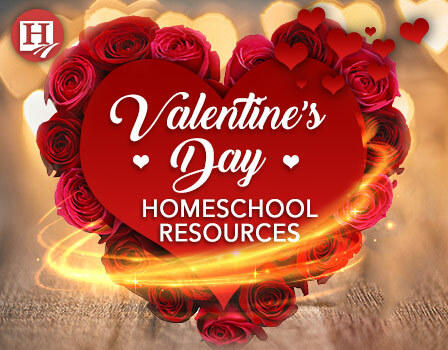 Valentine’s Day is the perfect day to just relax and do some themed science activities. There are enough activities here to have a Valentine’s-themed month of science if you want! 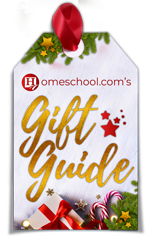 FREE Valentine’s Day Unit Study from A2Z Homeschooling. For a printer-friendly version of our Valentine’s Day mini unit, click the image above!